AFTER all the overheated political controversy over SNC-Lavalin in the wake of the resignation of former attorney general Jody Wilson-Raybould and her expulsion from the Liberal caucus, the Liberals and Justin Trudeau are edging up, according to the latest (April 12) Nanos Poll. The NDP is at 14.9 percent, the Bloc Quebecois at 4.5 per cent, the Greens at 8.8 per cent and the People’s Party of Canada (PPC) at 0.7 per cent. Four in ten (38.3%) would consider voting NDP, 31.3 per cent would consider voting Green, 8.7 per cent would consider voting for the People’s Party and 35.7 per cent would consider voting for the BQ. 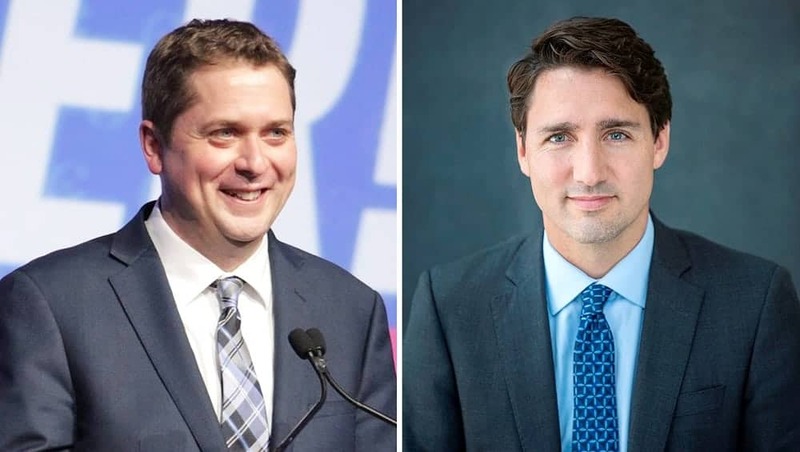 Nanos tracking has Justin Trudeau as the preferred choice as Prime Minister at 31.5 per cent of Canadians followed by Conservative Party Leader Andrew Scheer (25.5%). The others: NDP Leader Jagmeet Singh (8.2%), Green Party Leader Elizabeth May (7.5%) and PPC Leader Maxime Bernier (2.2%). Twenty four per cent of Canadians were unsure whom they preferred. Fewer than half of Canadians (45.2%) believe Trudeau has the qualities of a good political leader while 39.8 per cent believe Scheer has the qualities of a good political leader. Three in ten (29.3%) say Jagmeet Singh has the qualities of a good political leader, while 34.5 per cent believe the same about May. One in six (17.6%) believe Bernier has the qualities of a good political leader, and 28.3 per cent said BQ Leader Yves-François Blanchet has the qualities of a good political leader (Quebec only).